How One Photographer Made These Cancer Survivors Truly Happy! All In A Days Work. U.S. Presidents are often viewed with an untouchability. 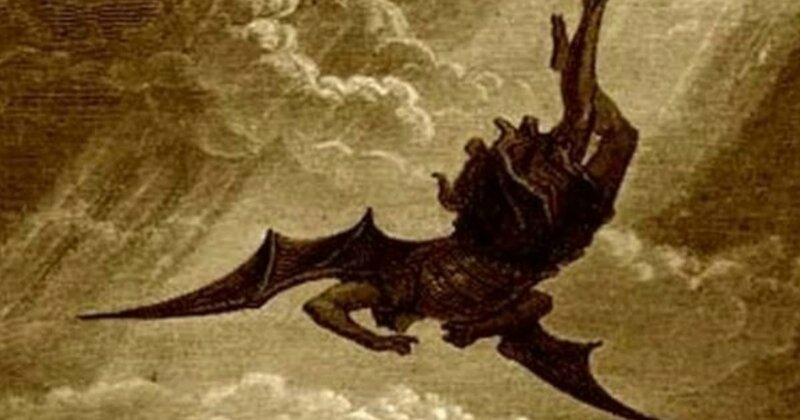 But these bizarre facts show that they are no different than the rest of us, some even weirder! While you may know something about each of these leader’s political leanings, their personal likes and dislikes may be lesser known. 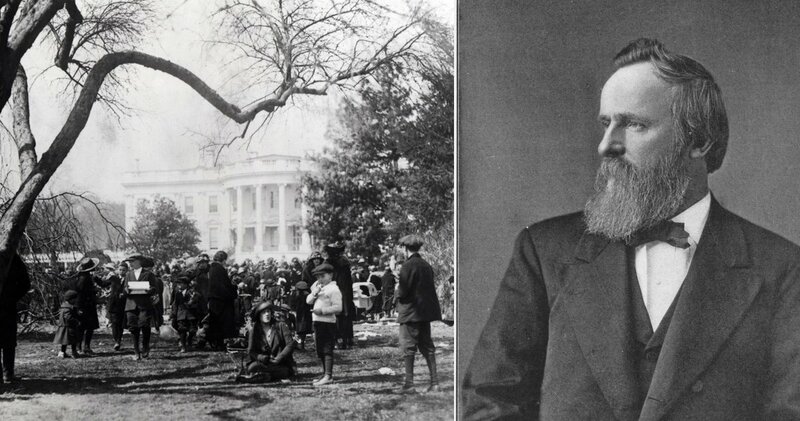 Our presidents have had their share of embarrassing moments or peculiar eccentricities – like Grant being ticketed for speeding or Hoover’s staff hiding in bushes at his request! These are the tidbits you probably were not taught in history class. 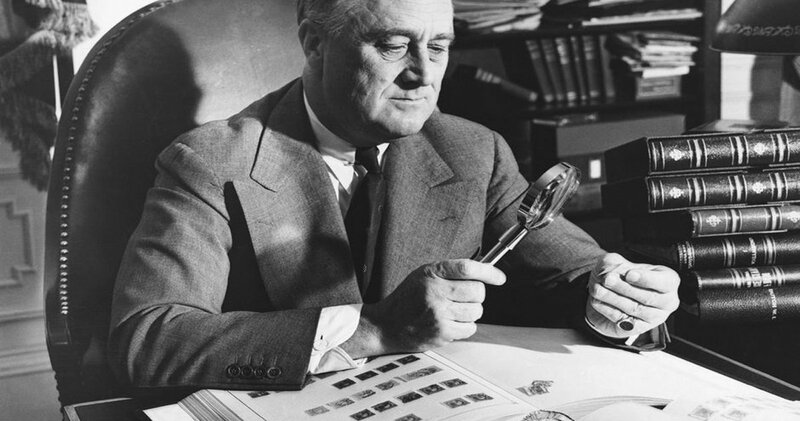 We thought it would be fun to take a peek into the lives of the U.S. Presidents and see what unique information is out there. These may not be deep, dark secrets but they give great insight into the private life of those called “Mr. President”. We hope you enjoy this unique look at these leaders who have shaped our country and some of their bizarre quirks! His false teeth and their composition are often the most remembered unusual fact shared about Washington. He started losing them in his 20s, and only one tooth remained at his inauguration. Instead, he wore dentures made of cow or horse teeth, and ivory – not wood– which a common misconception. One other vanity remains that is equally astounding. 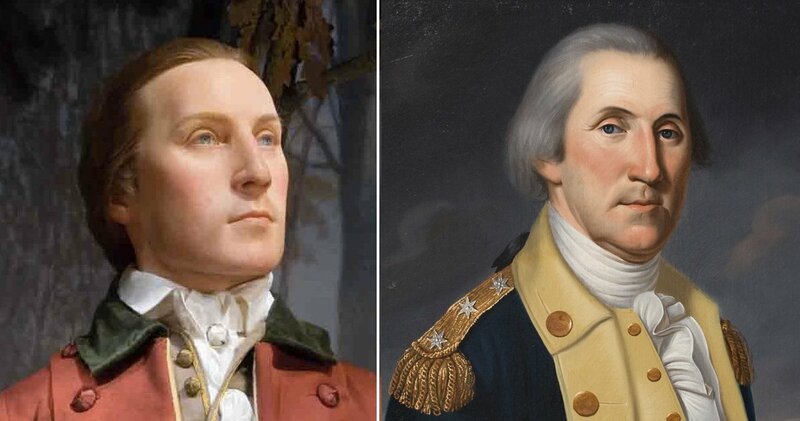 George Washington did not wear a wig. It was his real hair shown in paintings. Equally interesting is that he was a redhead but as was the fashion of his day, he powdered his hair to be white. But his nickname also gave a clue to his very strong personality. 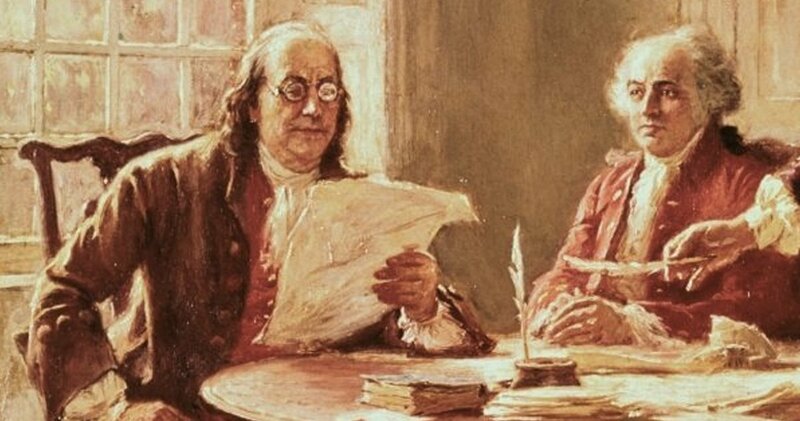 John Adams and Benjamin Franklin took a diplomatic trip together. 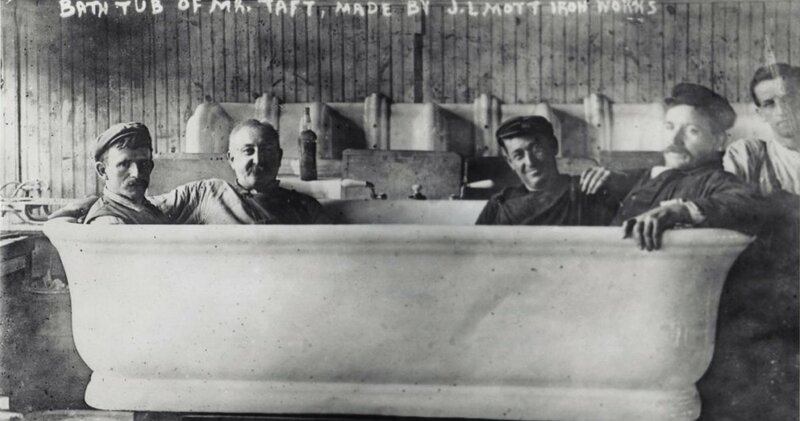 Due to the customs of the day and the packed lodging houses, the men had to stay in the same bed together. Their tight quarters began the debate of a century – does cold air cause colds? Adams was adamant that Franklin’s desire to keep the window open would get them both sick. Franklin was determined that the stale air in the room was the cause of illness and that fresh air was just what the pair needed. After a heated exchange, Adams saw neither would “win”. He relented, opened the window, and was lulled to sleep by Franklin’s dissertation on the effects of fresh air on the human immune system! In 1786, Jefferson and John Adams visited the home of William Shakespeare. Apparently, so overwhelmed with the experience, he decided to take home a memento. 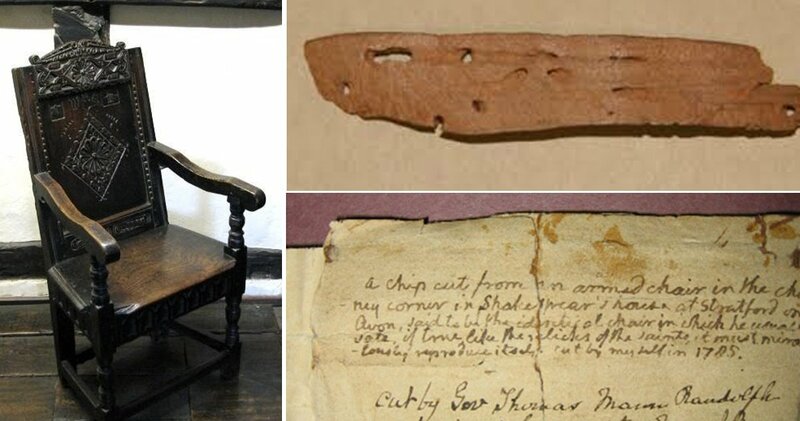 He chipped off a piece of Shakespeare’s chair as a souvenir! 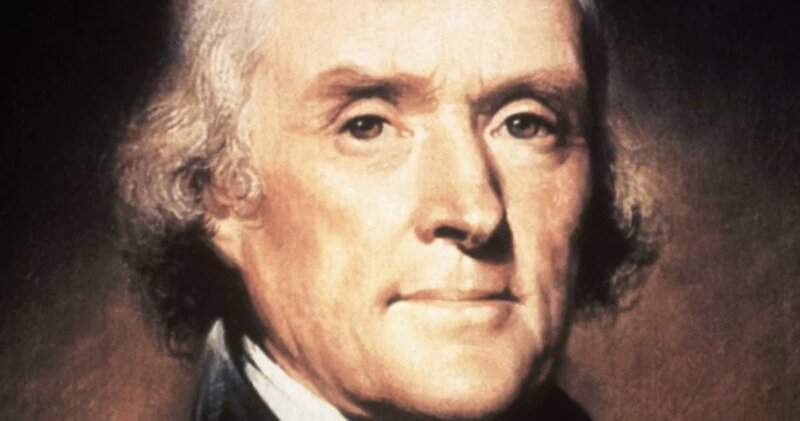 As noted on Monticello’s website, there is indeed a chip of wood that remains and a note, written in Mr. Jefferson’s own hand declaring his deed. Perhaps his weakness led to a bit of self-awarding behavior. 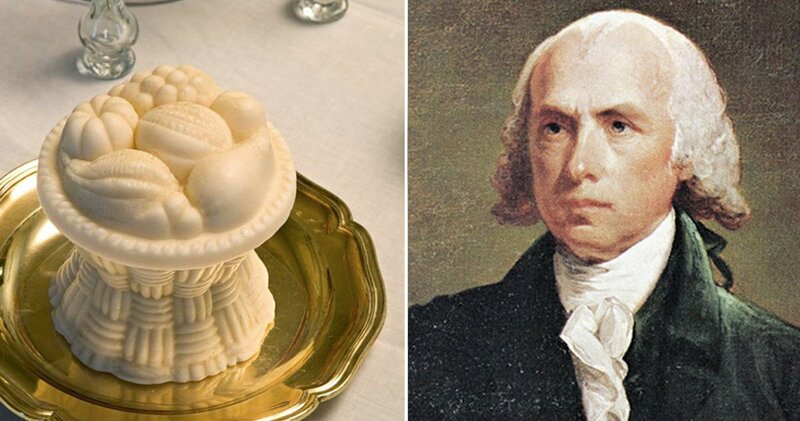 Ice cream was a very time-consuming task during the 1800s, but the Madisons were known to serve the frozen dessert frequently at White House parties. Apparently, Mrs. Madison loved oyster-flavored ice cream! Yum? Monroe was the last president to dress in the fashion style from the Revolutionary War era. However by 1825 when he was proudly sporting the style, it was considerably out-dated. Monroe gained his nickname by his choice of continuing to wear the "retro" cocked or bicorn and tricorn hats. There are countless amusing stories. 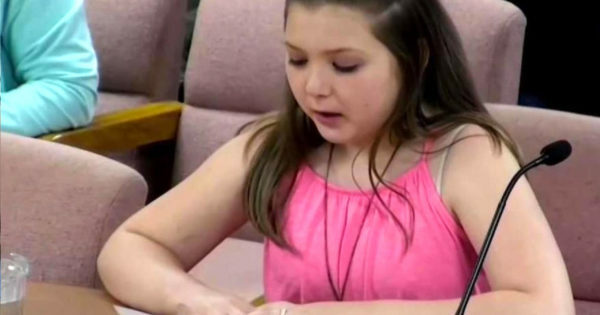 One such is of a female reporter who couldn’t get an audience with Mr. Adams, so she stole his clothing while he was swimming and refused to return it until he spoke with her. This story appears to be just that, a tall tale. While there may indeed be a grain of truth that began the lore, there is no evidence of the experience actually having happened. 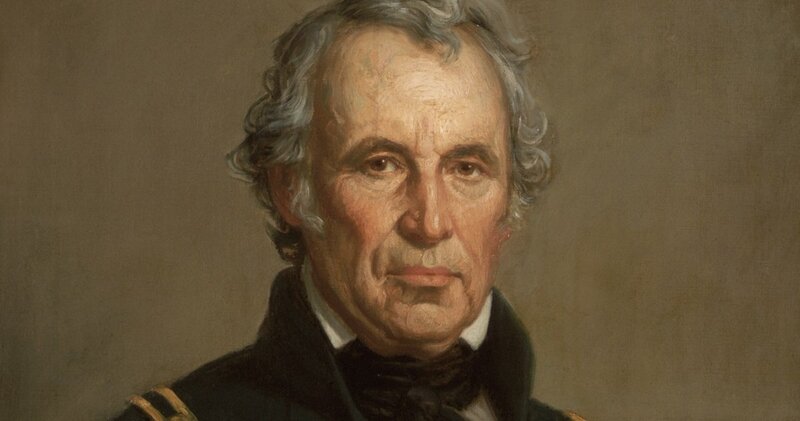 Jackson was known for his tough personality, which gained him his nickname, “Old Hickory”. He also was known to carry a walking stick made of hickory wood that he would use to swat people! Jackson had a very exacting personality that would often result in spats with others. He is estimated to have participated in anywhere between 5-100 duels! 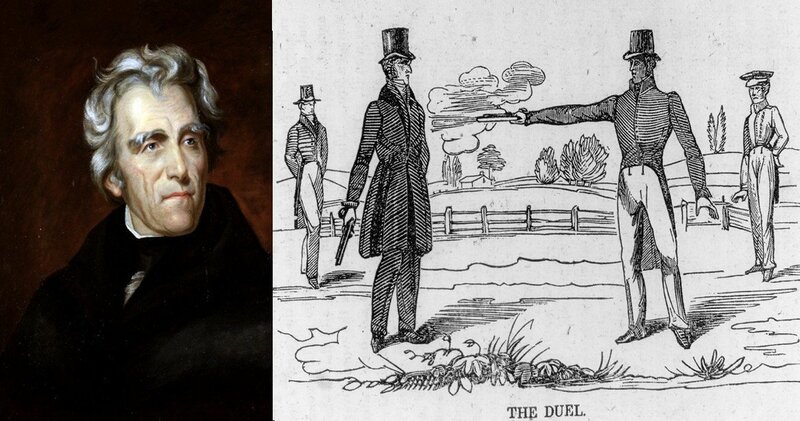 One such duel was with a man named Charles Dickinson. During the event, Jackson was struck in the chest with a bullet but survived. He carried the bullet in his chest (along with another from a different duel) his entire life. Born in New York state, Van Buren was nicknamed for the city of his birth. At the time of his re-election run in 1840, a fad of shortened expressions being used in common conversation had begun. One such was taken from the common German expression, "Oll Korrect" abbreviated to "O.K." 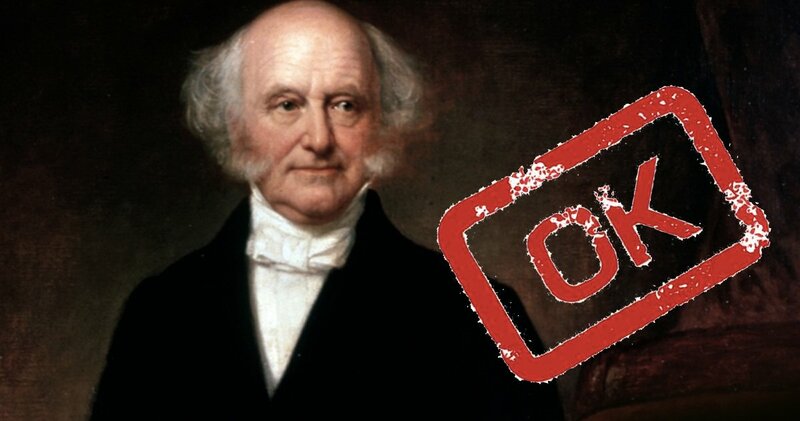 Seizing the opportunity to play off the popular phrase and Van Buren's initials, his supporters rallying cry was "Vote for OK!" Unfortunately, the play on words wasn't enough to nab the re-election for him that year! At the time of Harrison's election, he refused the offer to ride in the new presidential carriage pulled by four white horses. Instead choosing to ride his personal horse, Old Whitey. Behind the coatless new president followed sights such as log cabins on wheels, cider barrels, and rowdy crowds. 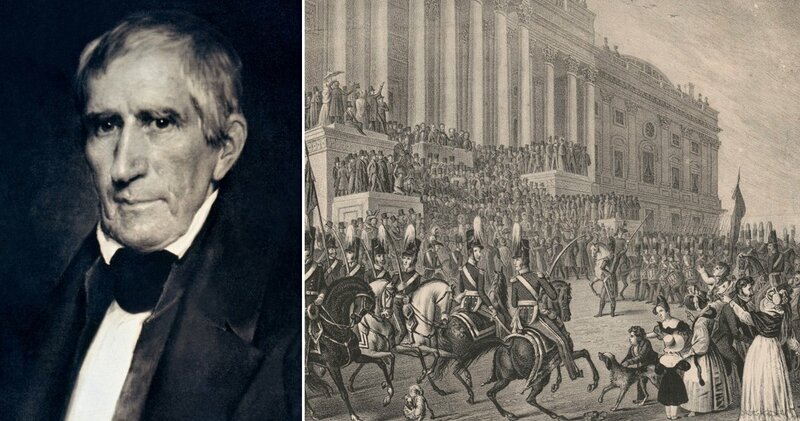 Former president John Quincy Adams described that first display, "[it] was celebrated with demonstrations of popular feeling unexampled since that of Washington in 1789"
Harrison is probably best known for his very short presidency. After being caught in a rain storm two weeks into his term, the new president developed a cold that turned into pneumonia. Less than a month later, he passed away, leaving his VP as President. 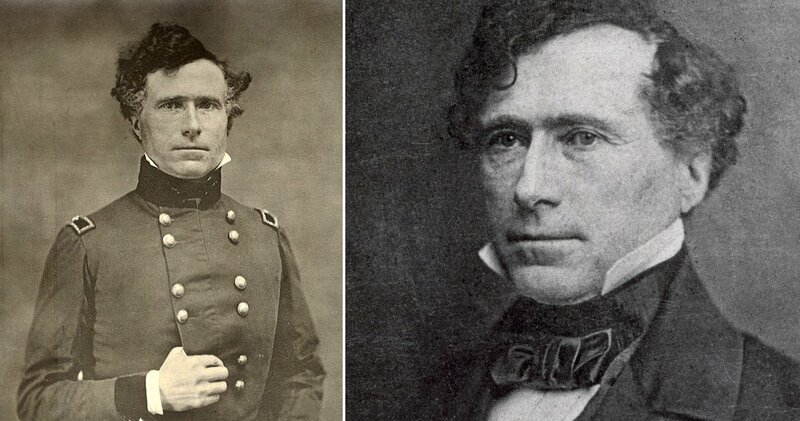 Their campaign slogan “Tippecanoe and Tyler, too” proved to be more telling than expected! 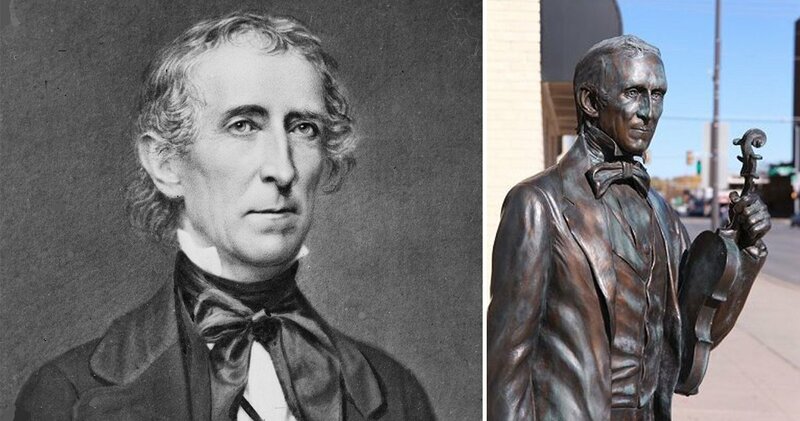 Tyler was never meant to hold the office of president (but he was the Vice-President who assumed office after Harrison's unexpected death). That being the case, he was extremely sensitive about being called by his formal title, “Mr. President” at all times. He even went so far as to refuse mail that was sent to ‘the acting president”. 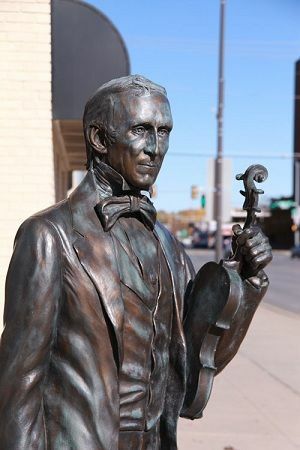 Prior to seeking a role in politics, John Tyler was an accomplished violinist and considered playing professionally. His dreams were altered however when he was pushed into studying law under his father. The rest is, as they say, history. When he was 17, it was discovered that he suffered from severe bladder stones that could not be passed. Without anesthesia or antiseptic, he underwent a surgery to have them removed. His only pain numbing option was brandy. 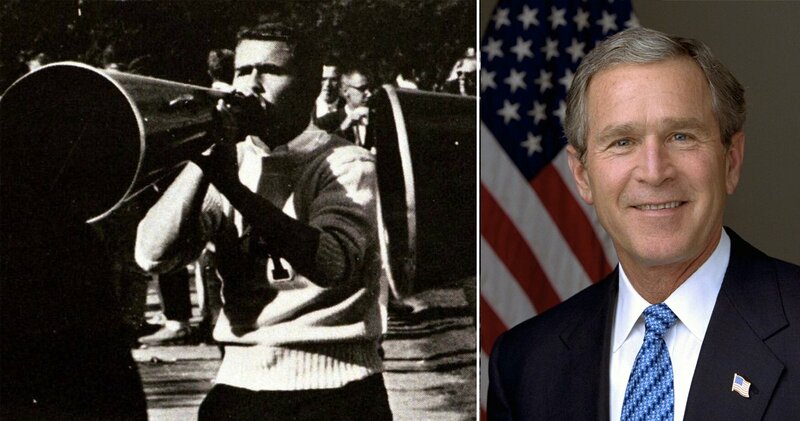 Interestingly enough, in his presidential years the president refrained from all drinking. Taylor found himself trying to unite a badly broken country, unsuccessfully. Historians now believe he may have been the victim of an assassination. 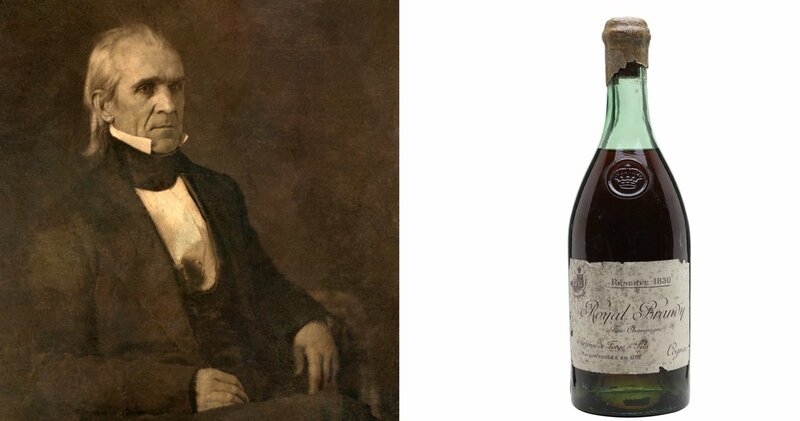 He died after a short while as president, believed to have contracted cholera from eating bad cherries and iced milk. But there were no outbreaks that year. His cause of death was never confirmed. In 1991 his body was exhumed to determine if he had been poisoned by arsenic! It was noted that his body was well-preserved and easily recognizable. No traces of arsenic were found however, so while the possibility of poisoning is not off the table, arsenic wasn’t the chemical used. He remains the only president to not have a confirmed cause of death. Growing up in intense poverty (thus the nickname), Fillmore’s father apprenticed him in various occupations in hopes that he would change his lot in life. Millard found ways to educate himself and eventually was so successful that he became a school teacher. In order to improve his vocabulary, he carried a dictionary with him. 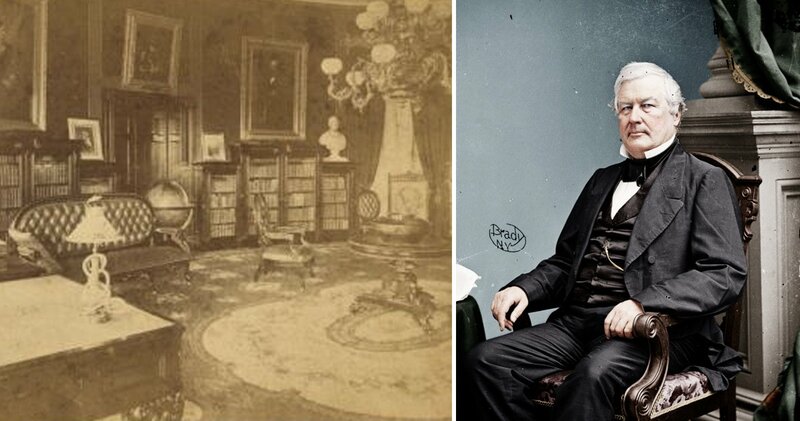 Once he became president, he and his fellow school teacher wife, opened the first official White House library. Pierce had a thick curly mop of dark hair that had a mind of it's own. His hair was such a conversation piece that while his open casket was on national display, viewers commented not on his policies, integrity, or leadership but rather on his hair! Sporting one blue eye and one green eye, Buchanan is believed to have suffered poor vision. 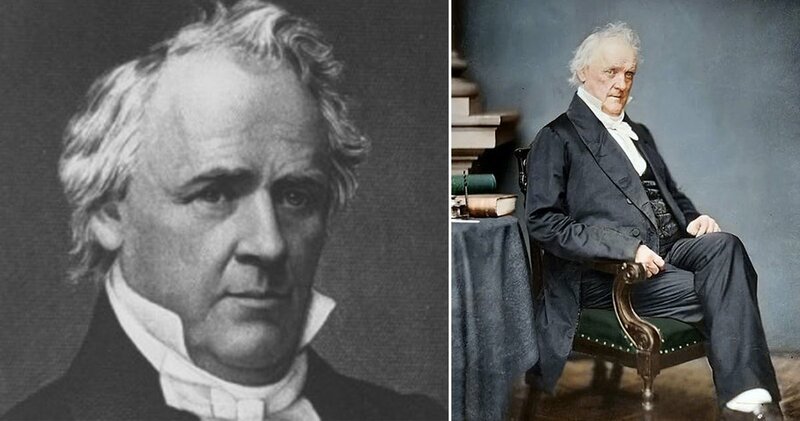 In his portraits, Buchanan was almost always shown cocking his head to the left. 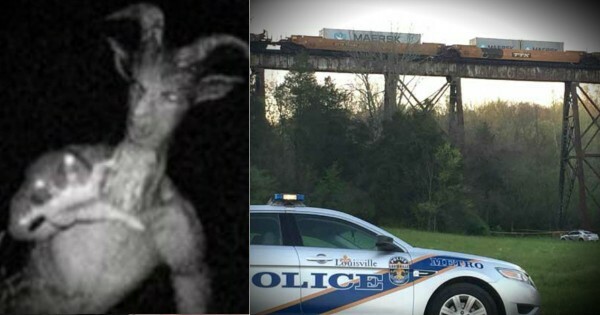 It’s believed this was due to a wandering eye. 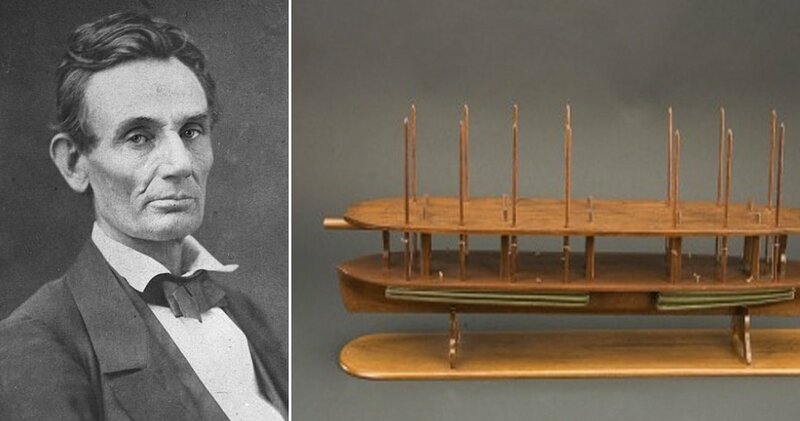 Lincoln was quite the tinkerer. He loved to analyze and create. 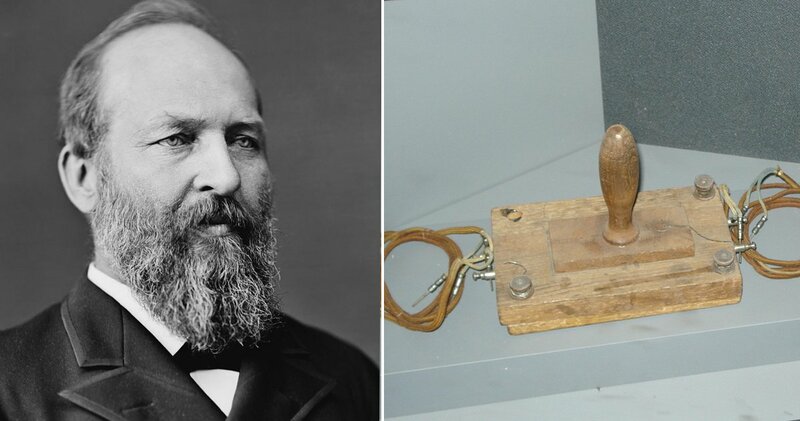 He is the only U.S. President to hold a patent for one of his inventions (U.S. Patent No. 6469). After having spent time in his youth on river boats, he knew the necessity of being able to raise the boat above treacherous shoals. 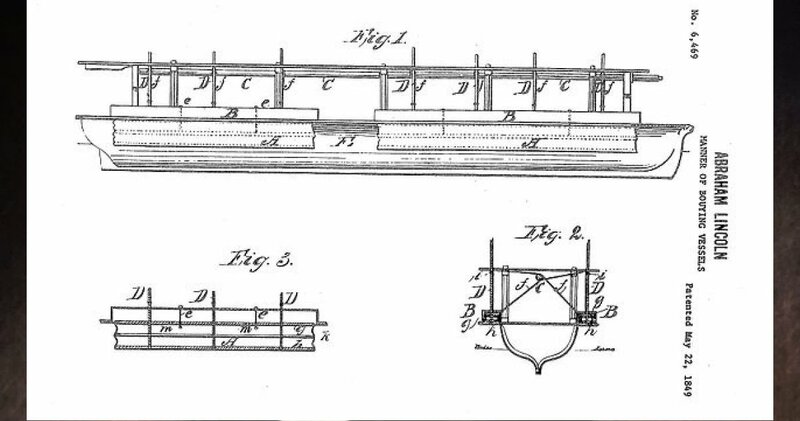 Lincoln’s design created a balloon or bellows system that would raise the ships higher in shallow water to avoid running aground. Lincoln has remained a dynamic character study for many. Not only because of his placement in U.S. history, but also due to his complex personality, and dramatic features. Garner Holt Production has recently created an animated Lincoln based on the facial expressions marked in photographs of him. While some of the expressions are downright scary, it’s truly fascinating to imagine what he would have looked like in life! Easily remembered as the first president to be impeached, Johnson had a rather rough start to life. As a child, he and his brother were sold as an indentured servant to a tailor. Being a servant wasn't for him, he successfully made his escape after 2 years. A reward was offered by the tailor for locating Johnson, but he was never turned in. This occupation is the basis of his political nickname, "Tennessee Tailor". Interestingly enough, he is noted as having made his own suits as president! 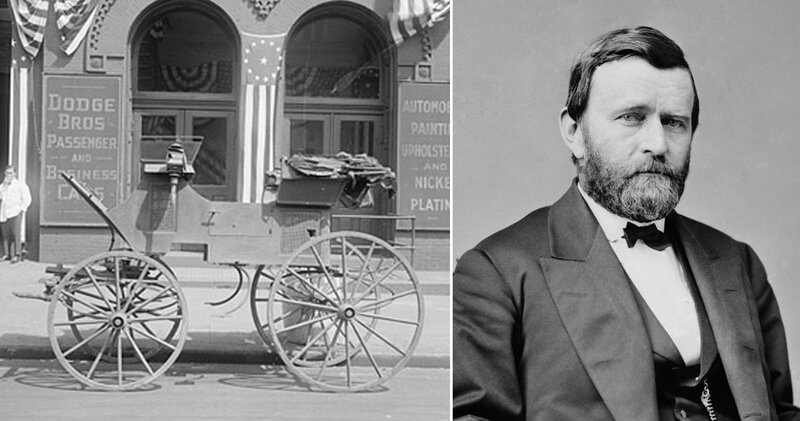 Grant was a great horseman and preferred to drive his own carriage during the early part of his presidency. He was known to love riding at break neck speeds. So much so that the president was actually stopped for speeding and issued a $5 fine. (Approximately equivalent to $143 in current rate). While the speeding incident should have slowed Grant down, he continued to use the streets of DC as his personal racetrack. Years later just outside of Washington, he actually ran over a young boy's foot. 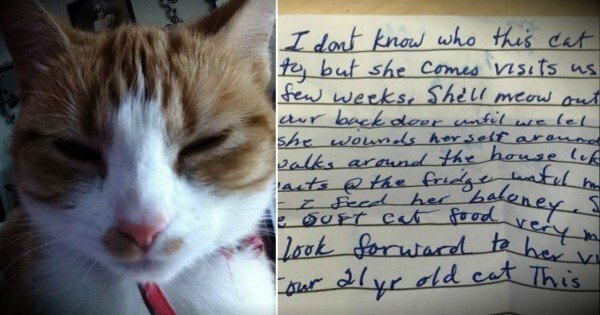 Of course, he sent a letter of apology. Hayes chose not to drink, gamble, or dance and refused to allow it in the White House when he was present. His nickname was an insult to his reserved behavior. But even the straightest arrow knows when to have a little fun. Rutherford and his wife Lucy, hosted the first Easter “egg roll” on the White House lawn. While we are more familiar with the concept of an egg hunt, in 1878, it was popular to roll eggs on a lawn to celebrate. The Capitol green wouldn’t allow the children’s festivities because of the toll the party took on the lawn in years prior. Instead the children found Hayes on a morning walk and asked if they could roll them on the south lawn of the White House. After talking to his staff, Rutherford announced that if children arrived for the egg roll the following day they would not be turned away. The tradition continues to this day and is loved by adults and children alike! Garfield was shot in an assassination attempt and suffered for 79 days before eventually passing away. While he lay injured, his doctor (who was oddly named "Dr. Doctor Bliss") contacted Alexander Graham Bell to try his new metal detector to locate the bullet. Unfortunately, the doctor demanded Bell check the right side of Garfield's body, but the bullet was lodge in the left side. Bell later realized that Garfield was also lying on a metal spring bed which caused additional errors in his experiment. But it wasn't Bell who was responsible for Garfield's death. Dr. Bliss ignored the studies on germs and continued to prod around Garfield's body with dirty fingers and unsterilized tools! The president died from a resulting infection. Arthur was known for his great taste in clothing and furnishings. When he moved into the White House, he felt it desperately needed an update. Unfortunately, his keen eye for all things expensive didn’t mesh with the White House budget. The solution to redecorating was to sell off historical presidential relics. 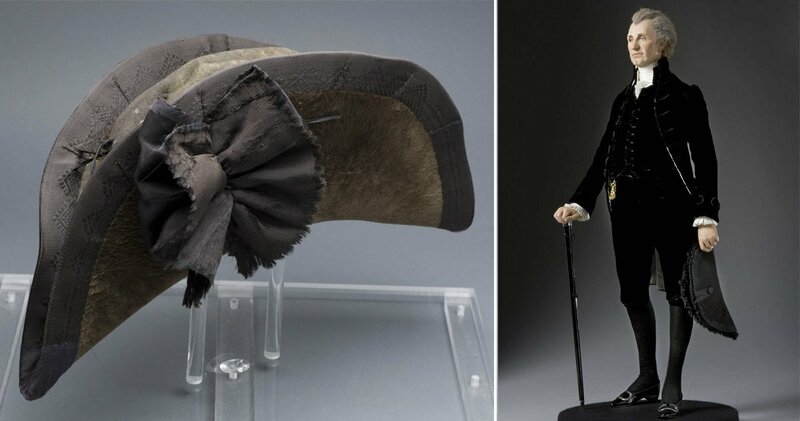 Among the 24 wagon loads of items were John Quincy Adam's hats and Lincoln's pants! 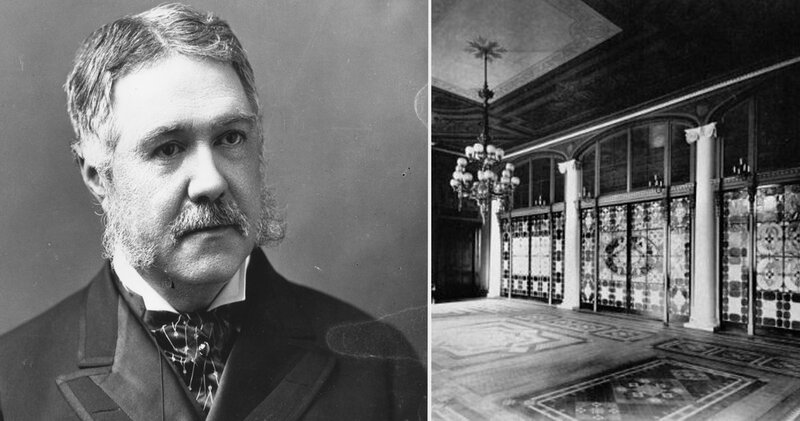 Arthur raised the needed money and then hired young Louis Comfort Tiffany to redecorate the White House. Known for his love of cigars, it is not surprising to learn that Cleveland developed a tumor in the roof of his mouth where his cigars usually rested. A dangerous tumor-removal surgery was secretly performed on his friend's yacht so that the nation would not know of his illness. The risky surgery took 90 minutes without any visible damage to his face or famous mustache! The doctors were worn to secrecy. It wasn't until 24 years later that Dr. William Keen, one of the last living doctors from the team, came forward with the details of the hidden surgery. 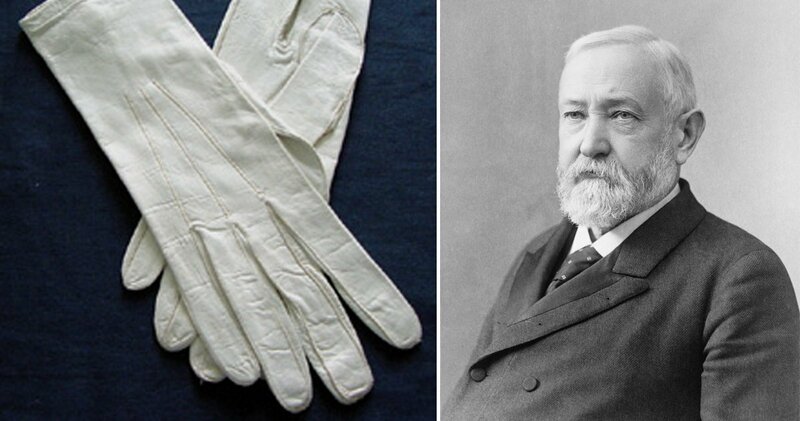 Benjamin Harrison was the grandson of former president William Henry Harrison. His nickname comes from a fashion choice. Harrison always wore kid gloves to protect his hands from skin infections. There is documentation that during the Civil War his hands were treated for an ailment. In recent years doctors and historians have suggested it may have been contact dermatitis, but the true cause remains unknown. He must have really hidden that surgery! The public voted him back into the office, the only president to have served two non-consecutive terms. 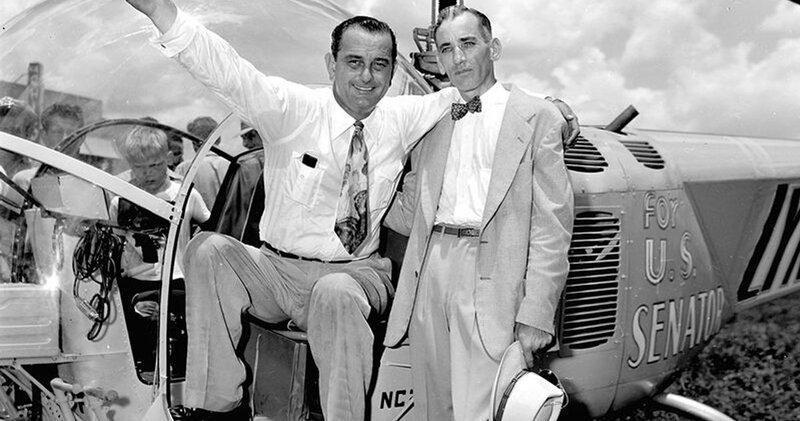 McKinley owned an African parrot who he named “Washington Post”. Post the parrot was taught to whistle the entire “Yankee Doodle” tune on cue. 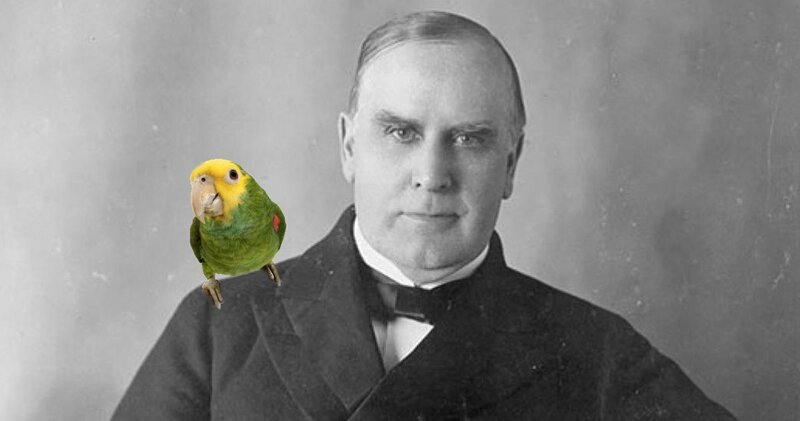 McKinley believed his parrot was so smart that he appointed him the official White House Greeter! His parrot took the job very seriously and was especially was fond of women. As they would approach his cage he was known to retort, "Look at all the pretty girls!" On a tour of the American West, “Teddy” Roosevelt’s train stopped in Sharon Springs, Kansas. As the townsfolk gathered around his opulent train car, Roosevelt noticed a little girl who asked if he would like a pet badger. He gladly accepted, thinking it was a joke. She ran away and promptly returned with a baby badger! 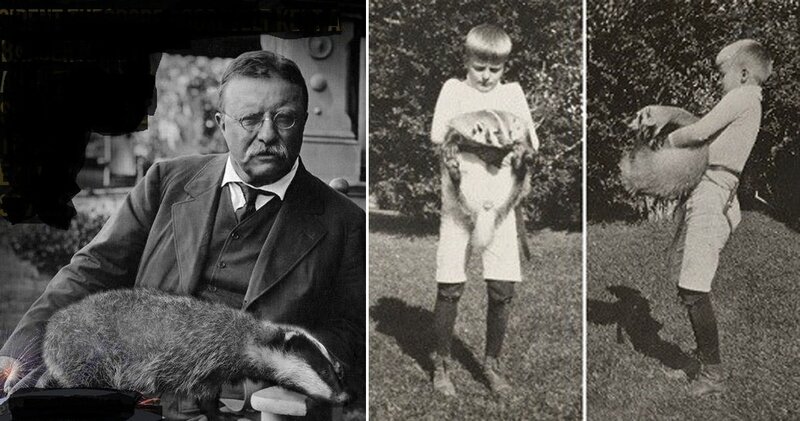 Roosevelt, a lover of animals wasn’t leaving the badger behind! The badger joined a menagerie of other animals at the White House, including a macaw, pony, snakes, and a one-legged rooster. As bottle fed Josiah “Josh” the badger grew, he became quite the handful nipping at visitors ankles and hissing. He was quickly transferred to the Bronx Zoo. 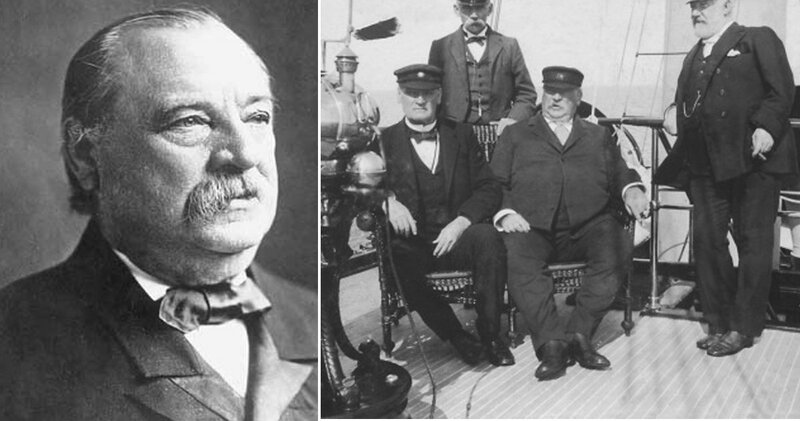 President Taft was not a small man. He tipped the scales at over 350 pounds. 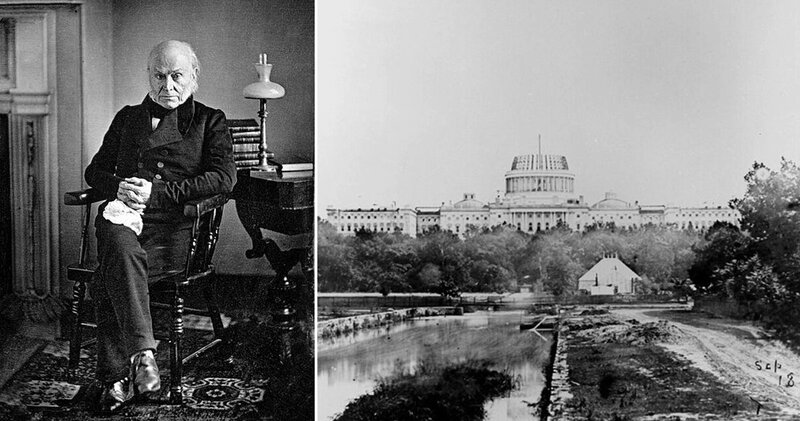 He served as a Supreme Court Chief Justice, but is more popularly remembered as the president who found himself stuck in the White House bathtub! While there is no document to back up this fact, there is documentation to prove that while he was in office the White House installed a "super-sized" bathtub. More than 7 feet long and 41 inches wide, it shocked the nation when a photograph of four men sitting comfortably surfaced in the Engineering Review! He went by Tommy for most of his younger life. It wasn’t until this late-bloomer went to law school (he didn’t learn to read until he was 11) that he started going by Woodrow, feeling it sounded more commanding. Having been born just before the Civil War, it is believed that this timing contributed to his late start at schooling. Others have suggested that he may have had dyslexia as well. Harding was an accomplished musician. He organized the Citizen's Cornet Band which played at various political functions. 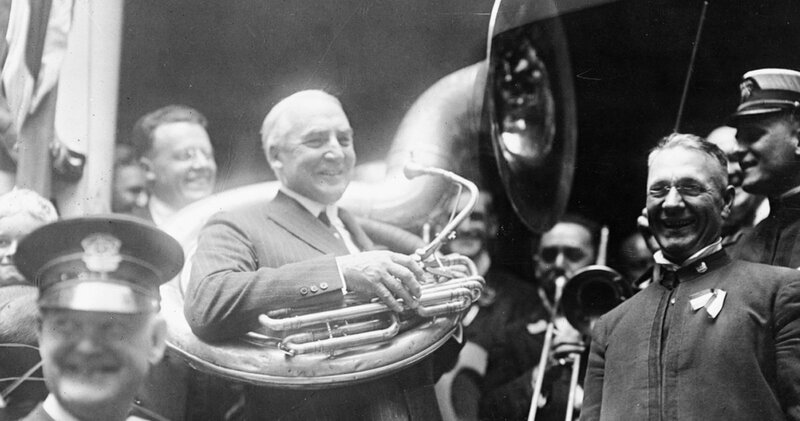 Not immune to his talents, Harding is noted as having said ""I played every instrument but the slide trombone and the E-flat cornet" He even played the tuba at the 1920 Democratic convention! 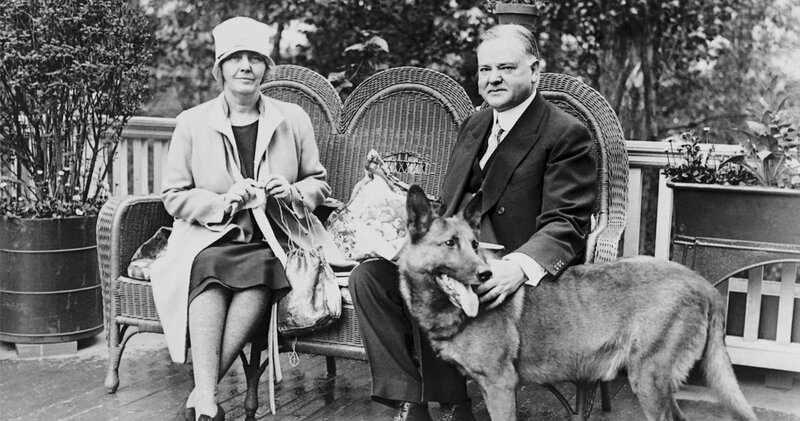 Coolidge collected an array of dogs, cats, birds, a wallaby and even a raccoon named Rebecca! The most memorable animal in his collection was a "pygmy hippo" named Billy. It was given as a gift to the president by Harry Firestone (yes, tires) after a trip to Liberia. 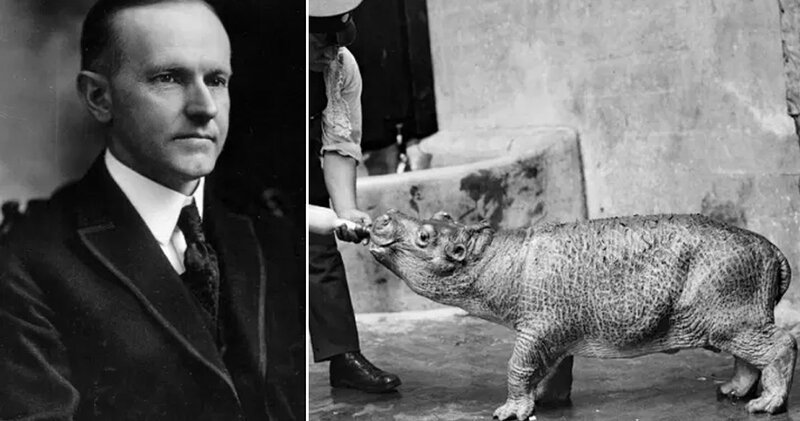 Billy eventually grew too big to stay at the White House and was given to the Smithsonian National Zoo. The majority of pygmy hippos in captivity today are the descendants of Billy the hippo. 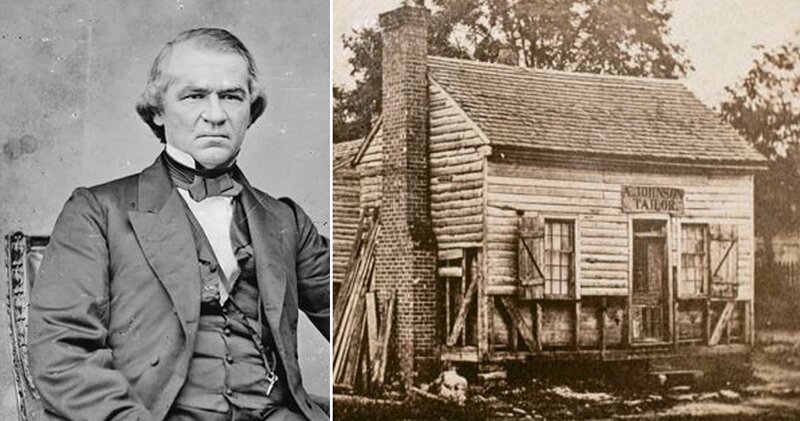 The multi-millionaire president had a difficult start to life when he was orphaned at age 9. Determined to overcome his ill fated life, he worked especially hard at his studies. He met his wife, Lou, while studying at Stanford University. They set sail for China together the day after they were married. While there, Lou became fluent in Chinese and frequently used this as her private communication with Herbert when in the White House. Hoover believed he should neither have to see or hear his staff when he and Lou were in a room. He insisted on the feeling of privacy. This unique demand resulted in staff diving into hiding whenever they heard Hoover’s footsteps. Whether it was piling into closets or bushes, the staff learned to become invisible. This pattern of behavior was kept up more for tradition than anything with the subsequent presidency of FDR but when Truman came on board, he wondered why there were people hiding in the bushes staring at him! Most remembered as the president during World War II who gave the famous “day that will live in infamy” speech. Roosevelt suffered from polio and was in a wheelchair but worked hard to keep his weakness hidden from the populous. He had many hobbies but none such as passionate as his stamp collection. By the time of his death, he had over 1 million stamps! It is believed that a day never passed that he worked on his collection, started as a young child. FDR enjoyed the process of designing and brainstorming over new stamp patterns. He was known to have frequently met with the Postmaster General, James A. Farley to discuss the stamps for circulation. Afflicted with poor eyesight his entire life. 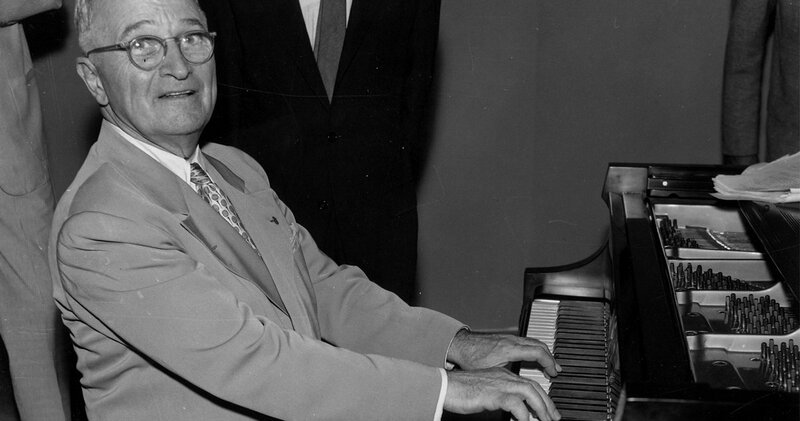 Truman was unable to play sports as a young boy due to his eyes. Instead he became an avid reader and piano player. He was very proud that he read every book in the Independence Public Library. After WWI, he and fellow serviceman, Eddie Jacobson, opened a haberdashery store selling all sorts of gentleman’s clothing and accessories. When the recession in 1922 hit, they were forced to close the store. Eddie continued in the clothing business but Truman went on to get a job in government that lead to his path as president. Eisenhower loved to golf and found putting particularly relaxing and clearing for his ever-busy mind. When he installed a putting green on the White House lawn, there was a problem. The furry D.C. squirrels found the new green a perfect place to bury their nuts! Obviously, lumps under the ground and divots from digging were not conducive to putting. 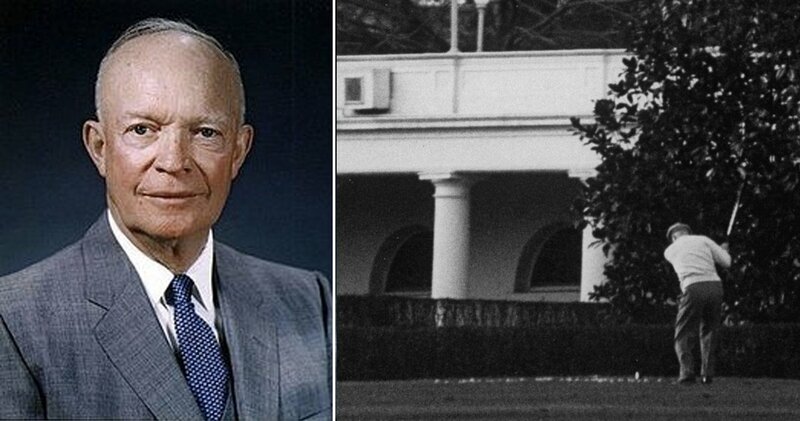 Eisenhower had the squirrels banished. Many of the following presidents have enjoyed the putting green, and few have mentioned missing the large community of squirrels. 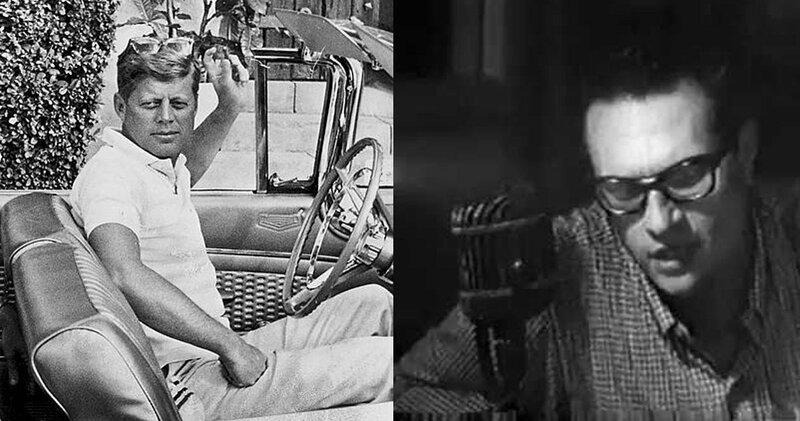 While he was working as a Senator in Florida, JFK and radio celebrity, Larry King had a fender bender. King wrote in his autobiography that he was new to the area, straight from Brooklyn. While driving he found himself distracted by swanky Florida homes. Through his recollection, King said that JFK was rather upset about the situation. "How could you?" Kennedy yelled. "Early Sunday morning, no traffic, not a cloud in the sky, I'm parked-how could you run into me?" Larry King shared that after calming down, JFK agreed to ignore the situation if King promised to vote for him in the next elections! 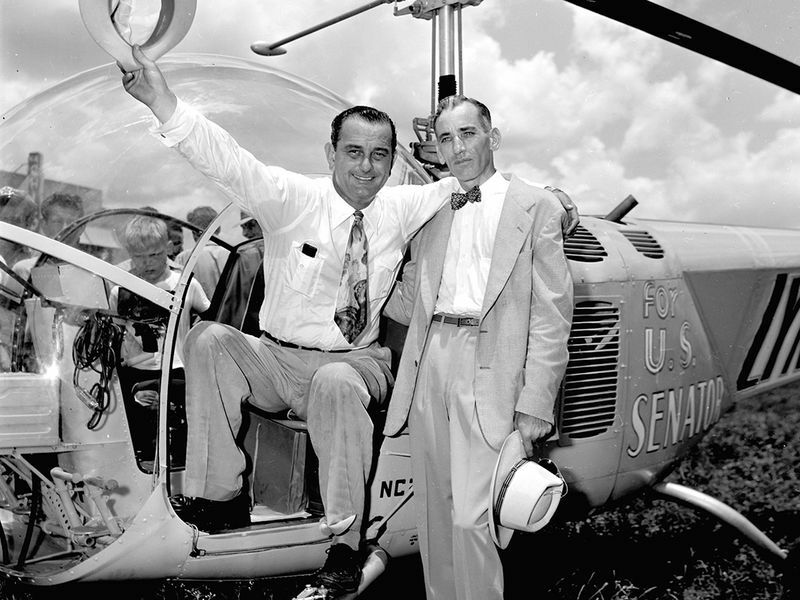 LBJ even had his very own green vinyl helicopter seat in the Oval Office. It was tricked out with a built-in ashtray. As is the custom with aircraft cushions, in the event of a flood, it could have been used as a flotation device! One of his favorite pastimes was bowling. He loved to take a quick break from his schedule and bowl a few frames, even in his suit. 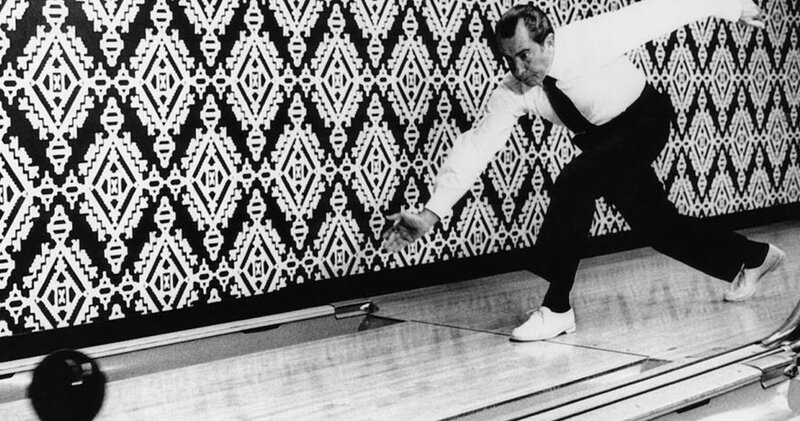 It was Nixon who installed a one-lane bowling alley in the basement of the White House. 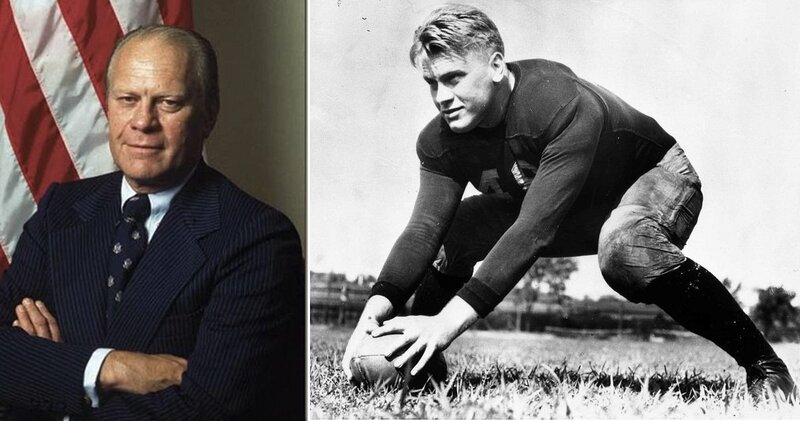 But his wasn’t the first lane to grace the White House. In 1947, a two-lane alley was set up for then President Truman. Not an avid bowler himself, the lane was scrapped for a printing press and moved to the Executive Office Building. There staffers were allowed to start their own bowling team which competed across the country! Ford was a very talented athlete and was on both his All-City and All-County football teams. He played for University of Michigan and was voted an MVP. Afterwards, he was offered a position by both the Detroit Lions and Green Bay Packers NFL teams. He turned down both offers in favor of a teaching position at Yale as a boxing coach and assistant football coach. 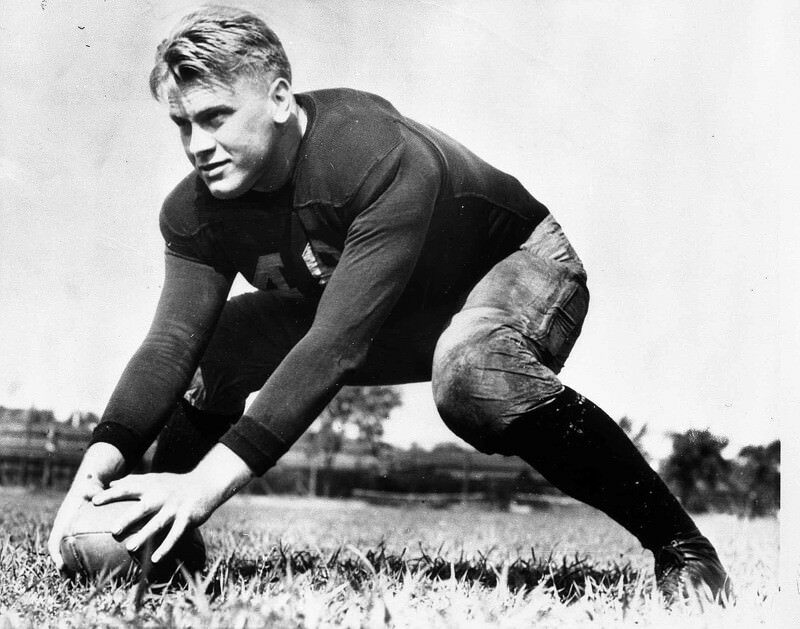 Ford was very motivated to earn his law degree and worked out a deal to attend school at Yale while teaching. 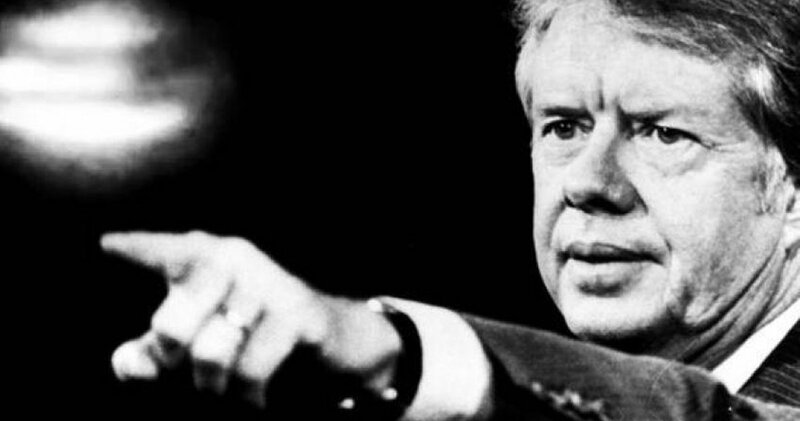 Carter is the only president to swear to having seen an Unidentified Flying Object “U.F.O.” Unashamedly, he discussed it more than once, including the campaign trail. While some have tried to point out that he probably saw the planet Venus, Carter was adamant that he knew his astronomy and couldn’t possibly have confused the two. 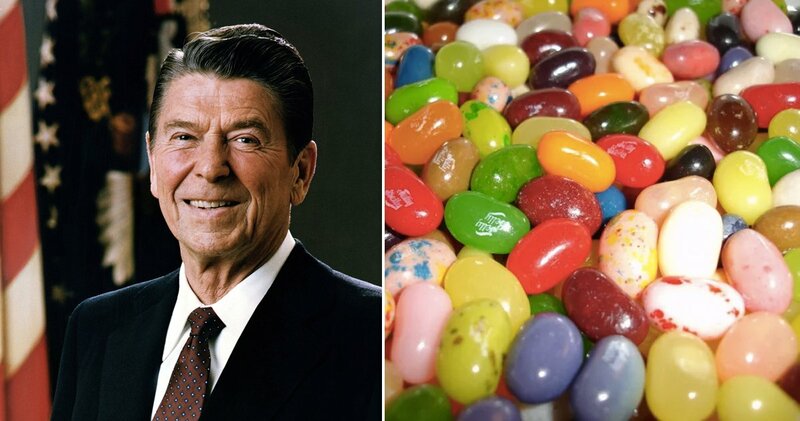 In order to kick his tobacco addiction, Hollywood-actor-turned-politician Reagan took up eating jelly beans instead. “Dutch” (labeled due to his hair cut and appearance) wasn’t actually a fan of the beans, until he came across the brand Jelly Belly. His infatuation was so great with the candy that he was known to have kept containers all over the White House meeting spaces. Jelly Belly corporation sent countless batches of their jelly beans to the White House for the president to snack on. Bush Sr. is known for having quite the appetite. But there was one time when he announced a change of pace for this palette. He wasn’t going to beat around the bush. He hates broccoli. "And I haven't liked it since I was a little kid and my mother made me eat it. 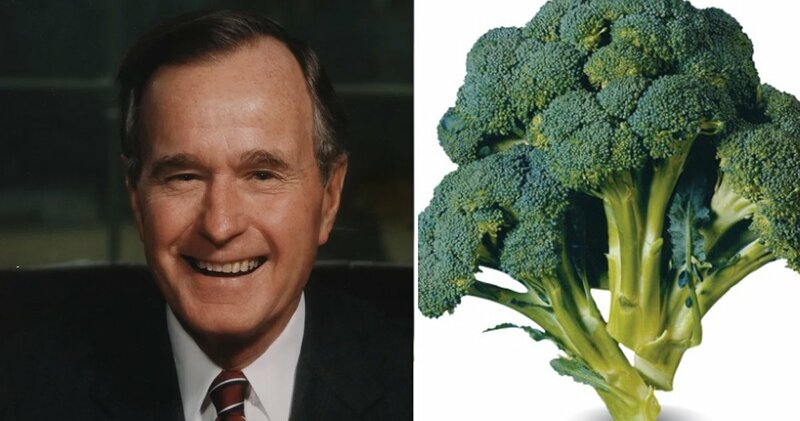 And I'm President of the United States, and I'm not going to eat any more broccoli!" Even after a young boy tried to convince the President of the virtues of broccoli, there was no way he was wavering. 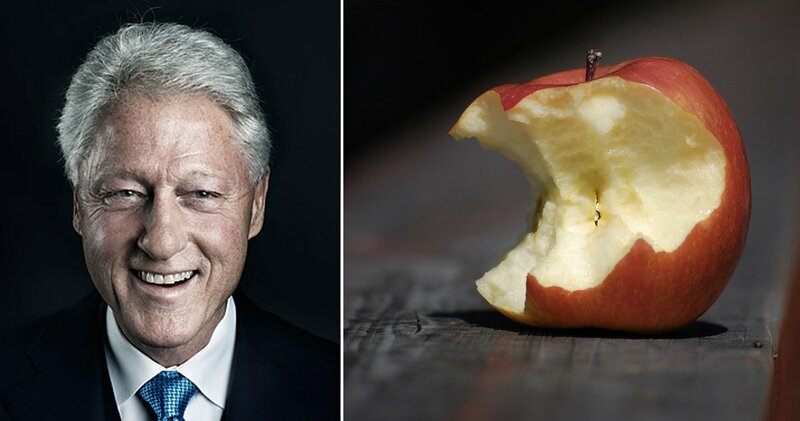 While he was in college, Clinton picked up an unusual apple-eating habit. Emulating one of his professors, he began to eat apples, core, seeds and all. In his autobiography he addressed the odd habit. "[Professor Deutsch] was the only man I'd ever met who ate all of an apple, including the core. He said all the good minerals were there. He was smarter than I was, so I tried it. Once in a while, I still do, with fond memories of Professor Deutsch." As a great encourager, G.W. was a cheerleader in both high school and at Yale. He was so good at his crowd-leading skills that he was named “head cheerleader”! While he never considered himself particularly athletic, he was friends with most of the players on the teams for which he rooted. Perhaps this association with cheering and being rather cheeky is what drew him to give nicknames to all of the political leaders he interacted with while in office. Putin = Pootie-Poot, Barack Obama = Rock, Rumsfield = Rummie (to name a few). 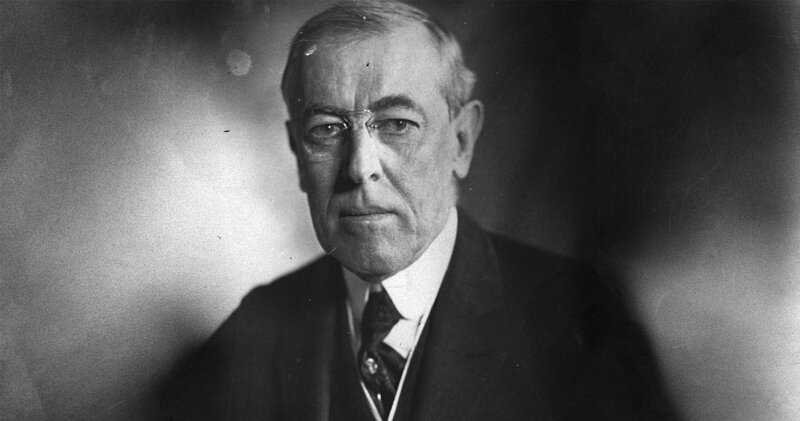 As a teenager, this former president managed a job while he was in high school. 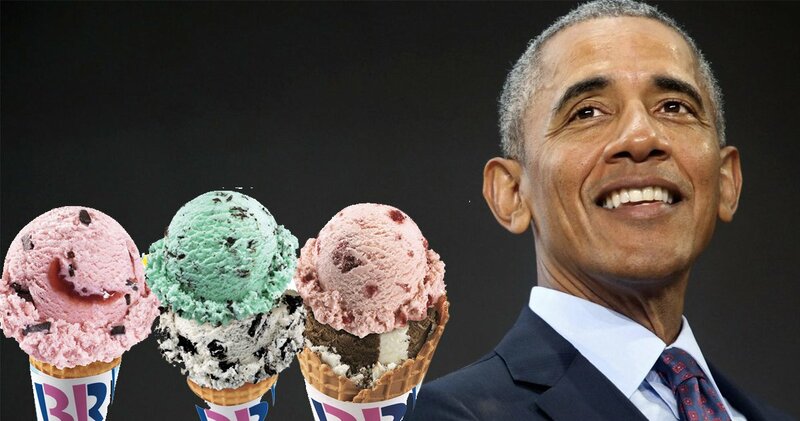 While working at Baskin Robbins ice cream would be a dream job for many teenagers, it didn’t hold the same joy for Obama. Due to this job, he doesn’t hold the same love of the frozen dessert as most Americans. He saw the benefit of learning hard work and responsibility but shares that he had one to many free scoops! His older brother, Fred Trump, suffered from alcoholism which eventually took his life in 1981. 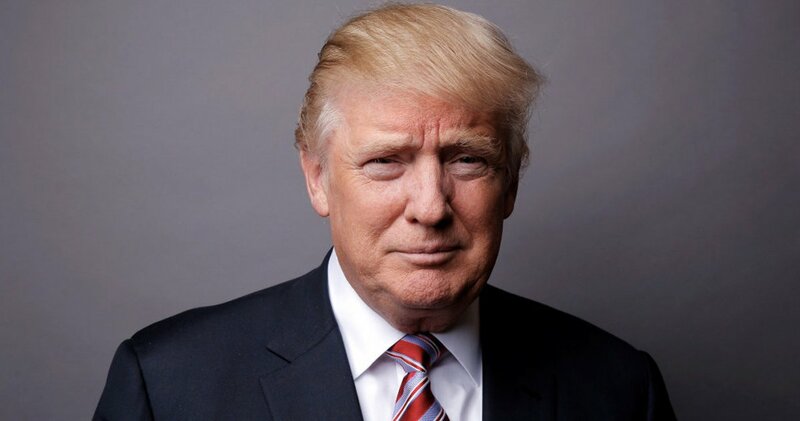 President Trump holds to this day that because of the urgings of his older brother to not smoke or drink, he rarely drinks alcohol and admits to having never smoked. "…he really helped me. I had somebody that guided me, and he had a very, very, very tough life because of alcohol. Believe me. Very, very tough, tough life. He was a strong guy, but it was a tough, tough thing that he was going through. But I learned because of Fred. I learned. And that's what I think is so important." Trump shared in a speech. There have been times where at diplomatic events a toast was required (recent U.N. meeting for example) and the President has been seen to raise his glass. Whether or not he abstained is still debated. What does seem to be clear is that he cared about his brother and the advice he gave him. Whatever your political leanings or favorite presidential platforms, there is one fact that cannot be denied. 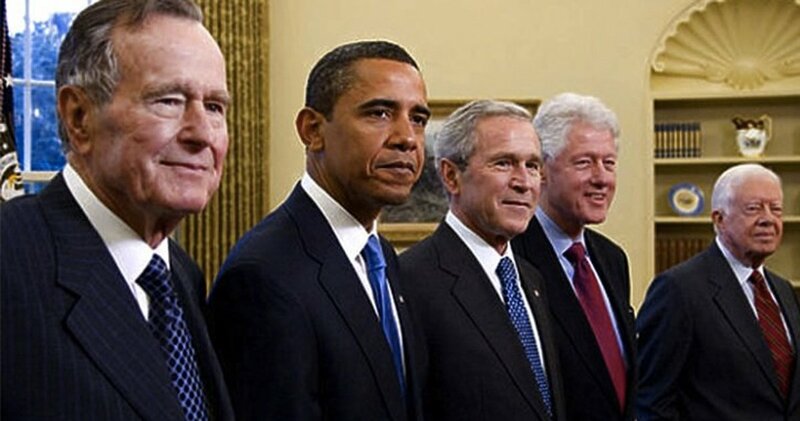 All of the presidents believe(d) in their dreams for the United States. They all hoped to make it a better place, even if those views might differ from the leader before or after them. 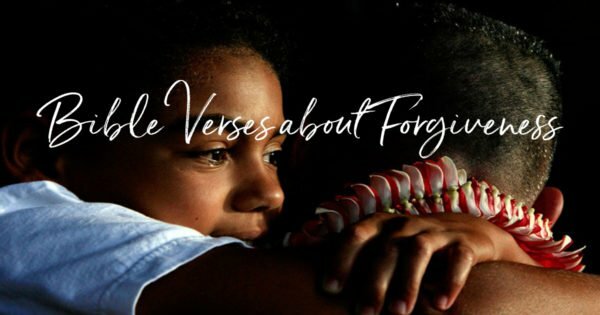 They were all imperfect, flawed beings like the rest of us. Each trying to overcome their own personal demons and while doing so hoping for a better tomorrow. We hope that these interesting facts about each of our presidents left you interested to learn more and see them in a new way!